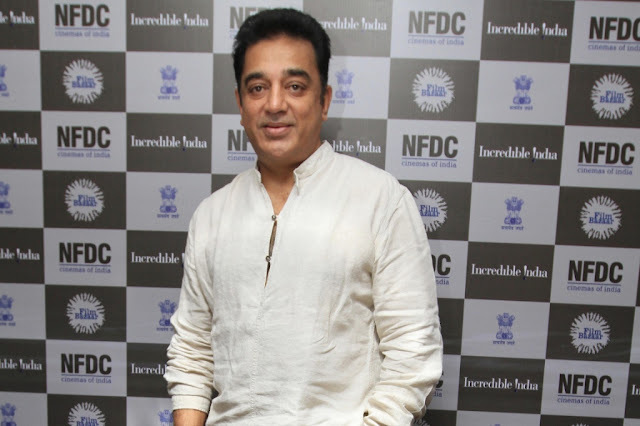 Kamal Haasan is an Indian film actor, producer, director, screenwriter, playback singer, lyricist, choreographer, song writer, dancer and also a philanthropist. He works primarily in Tamil cinema. He has won several film awards including three National Film Awards. He received the Padma Shri in 1990 and the Padma Bhushan in 2014 for his contributions to Indian cinema. His production company, Rajkamal International, has produced several of his films. Kamal Haasan was born on 7 November 1954 in Ramanathapuram, Madras State, India to D. Srinivasan and Rajalakshmi. His father was a lawyer and his mother was a housewife. He has two elder brothers named Charuhasan and Chandrahasan and a sister named Nalini Raghu. He received his primary education in Paramakudi and Santhome, Madras. He was attracted towards film and fine arts as encouraged by his father. Kamal Haasan began his film career as child artists in the 1960 Tamil move Kalathur Kannamma. He won the Rashtrapathi Award for his performance in this film. He starred in five more films as a child. He made his lead role debut in 1973 with the Tamil movie Arangetram, directed by K. Balachander. His first Telugu film was Anthuleni Katha in 1976, where he played a cameo role. He made his Bollywood debut as major role in the film Ek Duuje Ke Liye in 1981. He has acted many commercial successful Tamil movies such as Andharangam, Unarchigal, 16 Vayathinile, Neeya, Varumayin Niram Sivappu, Raja Paarvai, Dasavathaaram, Unnaipol Oruvan, Vishwaroopam etc.